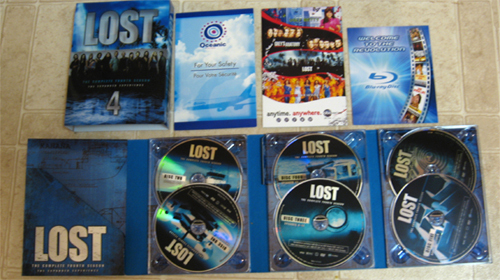 Many fans of ABC's paramount series Lost, the Emmy-winning science fiction drama, have endured a bit of a love-hate/love-or-hate relationship with Oceanic Flight 815 for the previous two seasons -- myself included. There's a fine line between watching the show because it's entertaining television and watching just to know about the characters' resolutions, which happened to be the tight-rope that the creators wobbled on while exploring and dissecting the island. J.J. Abrams and crew have played around with this for the past few years, taking us on twists and turns that try to provoke questions about religion, tribal mentality, and the existence of something called the "Dharma Initiative" that, though we've seen square foot after square foot of their grounds, still makes little to no sense. Weaving through the mysterious, metaphysically-enhanced island has been a chaotic trip both enthralling and nonsensical enough to fluster its audience with theoretical jabbering. While still one of the better television series on the air, it has mainly built off of character fondness and the initial ideas constructed by the first season -- while spending a ridiculous amount of time piecing together a dizzying network of clues, including those that might hint at whether the island's inhabitants are even still alive. With Season Four of Lost, all the ground work laid by two years of batty ideas, character interactions, and historical analysis on the island's story arch finally begins to regain momentum. After a handful of seasons testing the waters, Abrams' crew knows exactly what to do with the tone, direction, and rhythm of this part science fiction/part survival drama. As a result, Lost's Fourth Season packs an unbearable cinema-style punch geared to be intelligent while also being deceptively simple, energetic without showing all its cards, and heartbreaking without approaching melodrama. The Hawaii-based crew knows how to get inside of their audience's head, clearly proven by how intensely they can exploit their ability to do so while accomplishing many more thematic objectives in the process. Though only thirteen (13) episodes long, it doesn't even come close to slowing down (or unnecessarily speeding up) its kinetic rush to baffle and engross both its devotees and straying fans in need of a lure-and-tackle back into the universe. Ep. 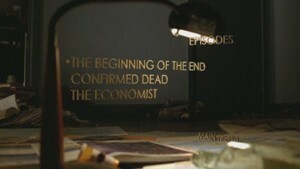 1: "The Beginning of the End"
Ep. 6: "The Other Woman"
Ep. 8: "Meet Kevin Johnson"
Ep. 9: "The Shape of Things to Come"
Ep. 10: "Something Nice Back Home"
Ep. 12: "There's No Place Like Home, Pt. 1"
Ep. 13: "There's No Place Like Home, Pt. 2" Note: Though strides were taken to dodge harsh spoilers in this review, the content isn't possible to be written about without previous knowledge of the first three seasons of Lost. You can find reviews for Season One through Three right here on DVDTalk. But, just to be clear -- SPOILER ALERT. 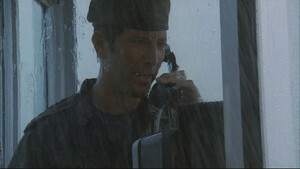 We left our survivors last season, in Lost's signature cliffhanger fashion, within moments of being rescued. A mysterious boat has appeared off the island's shoreline that has hung a knocked-out paratrooper named Naomi dangling above the tension-rattled group. As to be expected from this eclectic gathering of survivors, there's conflict over whether the rescue crew's presence is either authentic or trustworthy: Jack (Matthew Fox), Kate (Evangeline Lilly), Sayid (Naveen Andrews) and most of the "level-headed" castaways try to do everything within their power to get off the island, while Locke (Terry O'Quinn) and Ben (Michael Emerson) believe the rescuers to be less open about their motives for coming -- not to mention that neither desire to step a single foot off the island's inexplicable healing soil until they locate and mince words with Jacob, the unexplainable God-like being that Ben constantly mentions. Between the two factions exists a blur of people with different motives to either stay or leave: con-artist Sawyer (Josh Holloway) would be returning to a world where he's less than desirable, Sun (Yunjin Kim) and Jin (Daniel Dae Kim) run the risk of losing their baby because of the island's bizarre birth issues, and Juliet would lose years of research to return to her cancer-ridden sister. Seems rife for the splitting of factions and ideals, doesn't it? Season Four distinctly feels like the second act of a grand three-part play, which is interesting considering that Season Three's conclusion reveals what'll ultimately happen to the Oceanic crew -- well, at least two of them in particular. 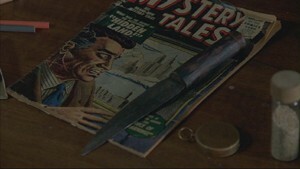 Since the show's beginning, one of the key mechanics that kept viewers hooked to the mythos was the intriguing character-specific flashbacks. Usually, these flashes latch onto the episode's particular theme (suicidal tendencies, power struggles, etc. ), which doesn't change here; however, instead of looking into the past, we're given glimpses into the futures of the "Oceanic Six" -- the only six rescued survivors from the plane crash. This shift flips everything on its head, otherwise transforming the island time into a series of flashback sequences that lay the foundation for a quirky time mechanic similar to Christopher Nolan's Memento. Since the character history tidbits started to feel overwhelmingly formulaic as the third season came to a skidding close, this new dynamic helps to freshen up the pacing for Lost's flip-flopping methodology. The grand scheme, however, lies in discovering and observing the dynamic shifts that revolve around the identities of the Oceanic Six -- first, which characters are the actual survivors, and second, how these particular six are going to make it off instead of the others. With the element of rescue in sight as the central plot point, it's only natural that a rescue team (read: new characters) would find their way onto the island. Normally, the idea of grand dynamic shifts, fresh characters, and a deflated mystery level regarding the castaway's outcome might've driven away and disheartened fans. However, each and every one of these elements is handled with systematic care, which makes the new material revelations in Lost's Fourth Season a refreshing and delightfully enthralling shift in gears. We're introduced to several very distinct entities, both on the boat and on the island, that range from money-thirsty ghost hunter Miles (Ken Leung) to brain-garbled physicist Daniel (Jeremy Davies). Davies is especially welcome, as he sort of recreates his paranoid, confused presence from Rescue Dawn into a larger, more sprawling role that will affect the make-up of later episodes. 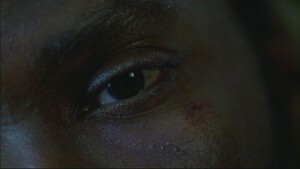 One of his influences occurs in "The Constant", which is the perfect example as to why the ludicrous nature of this season works as well as it does. Normally I wouldn't single out an individual episode since Lost's nature is better encapsulated by appreciation for a full season of concepts and ideas, but this one's an exception. It involves Desmond (Henry Ian Cusick) -- the "hatch" guy who has blurred in and out of alternate realities several times throughout the series -- as he travels ten years back in time. 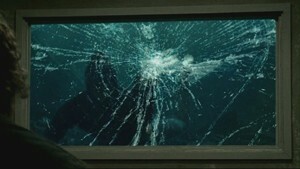 In that, he interacts with the fabric of time itself by communicating with both present and past Daniel about his blurred reality situation. Time travel science, brain damage, and island mythology all intermingle within one 40 minute episode, but there's something different with Desmond's condition this time through. It all, in a way, makes sense; instead of the writers trying to talk it to death, they find a marriage between elaboration and simplification geared towards easier digestion. Sure, there's something to be said for running mental laps around plot devices, but the Lost crew have learned which races to run and which to streamline. "The Constant" is one of such races, complex by design but crafted with such precise ingenuity that it goes down smooth. But no need to worry, because there's still plenty of "following the rabbit down the rabbit hole" in Lost. Most of it finds central focus on Locke and Ben's quest for Jacob's cabin, which makes sense seeing as how they're the more mystical beings of the bunch. Michael Emerson has received two Emmy nominations for his role and the nefarious Benjamin Linus, but he especially deserves it this season. He molds Linus into a villain that's as complex as they come, holding the capacity to contradict himself over and over again -- and still seeming strong in his resolve. He adds dashes of insanity, disillusionment, and pure belief in the island's importance to his persona which, though difficult to build into a credible character with those attributes, comes across with surprising believability. Of course, there's also quite a bit of Ben showing off exactly how intensely badass his character can be this time around, though it surfaces in some rather strange fashions. Part of that comes in the revelation that he shares a connection with the ominous smoke creature that's been claiming lives and scaring the bejeezus out of the survivors since the first season, which both becomes clearer and more bizarre right before our eyes. With all these elements at play -- the sustained mysticism, the newcomers, the standard character interactions, and the flash-forwards into post-Oceanic crash time -- Lost has to make a few sacrifices to cram it all together. Herein reveals one of its double-edged swords: J.J. Abrams and company have crafted too many interesting characters for their universe. Throughout all the chaos blitzing through this season, a few of the key players get eschewed more than some would probably like. Most notable is Sawyer; sure, he, Kate, and Jack have a little bit of their typical tug-of-war antics and he gets a little normal character time fumbling around with Locke and crew on their quest, but he rarely finds an integral spot in the narrative. Juliet, as well, gets nudged in that same direction, serving up only secondary trust/distrust conflicts on the beach. She does, however, get a clever expository episode that helps reveal some of the secrets behind how she transforms from the sweet, curly-haired researcher on the mainland to the hardened, untrustworthy woman of scorn. Strangely, even the normal focal characters get washed around a bit amid all the chaos going on around the island. Jack and Kate's typical banter gets swallowed up a bit by the distrust created by the rescuers' presence, while Claire and the baby receive similar treatment amid Locke's prophetic drive. It all feel strangely integral, instead of segmented, which helps make each episode feel complete and smooth. That's one of the key distinguishable elements of this season as opposed to the others: polished, flowing narrative. It rarely ever feels like material is wasted or disjointed, instead being hallmarked by a controlled and steady stream of absolutely addictive material. The only points that feel highlighted -- or that stick out like a sore thumb, in a tolerable, not-so-bad way -- are Sun and Jin's moments regarding their relationship and pregnancy. Their conjoined character development offered some of the stronger dramatic (and sappy) moments from every season up to and including this one. Even with these little bumps in the rhythm, character dynamics are impressively smooth both in the flash-forwards and back on the island. 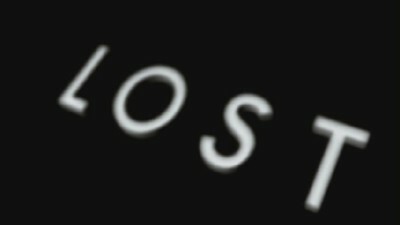 A lot has changed with Lost over its tenure. It's gone from a pure Jurassic Park/Cast Away hybrid to an amalgamation between those, "Lord of the Flies", TV's Quantum Leap on a cheese-less level, and even a wee dash of 12 Monkeys in there for good measure. But that's not really citing influences, per se, but more gathering together productions that roughly outline what J.J Abrams' series has molded into. Even more interesting is seeing how involving and cinematic the series has become, as it undeniably improves the experience when watching episodes consecutively. Something about the editing and the rhythm really leans itself more towards bulk outings, especially once you've gotten a taste of the current storylines, watch a few, then tell yourself that you can "just watch one more" and end up sitting through the entire series over a weekend. And that's what you'll find yourself doing with Lost's Season Four: watching episode, after episode, after episode until it's dried up ... and you'll want to do it all over again. Sitting down with it reminded me of watching the entire introductory season over a blurred, exciting weekend, which is a true testament to how strong the Lost crew crafted this one. In my eyes, Lost is back -- and I'm itching to dive right back in once the next season kick into gear. Disney's Buena Vista line hasn't let Lost fans down in the DVD package department yet, and Season Four is no exception. It comes in a handsome, embossed fold-out digipack that holds all six discs in layered fashion, which actually makes the set a little slimmer than the others due to the lower number of discs. As far as the spine artwork goes, the designs come pretty darn close to lining up -- which certainly shouldn't enough to irk collectors. The digipack slides into the typical floppy plastic slipcase, which peeks through to the inner digipack's design. In one of my favorite DVD aesthetic moves of the year, they've gotten their art department to draw up a really cool chapter listing. It's in the form of an airline flight manual, made with the same kind of pseudo-laminated material to replicate the authentic feel. Inside, theres a lot of typical airline suggestions, along with a few added pokes from the Dharma Universe (such as an Initiative logo on a shark fin). The little details are what make larger purchases like this worth it, which begs kudos to ABC/Buena Vista for stepping up to make a shorter season's presentation a tantalizing one. P.S -- Check out the front cover of the actual digipack, look at the "6" at the bottom, and see who in the line of characters are highlighted. Pretty slick, ABC/Buena Vista. Those familiar with Buena Vista's excellence in producing digital presentations for the previous Lost seasons will be once again elated here. Offered in its originally aired 1.78:1 image, enhanced for 16x9 televisions, this image looks stellar. Apt color saturation and detail rendering show off the gorgeous Hawaiian landscapes beautifully, while the subtle utilization of slate blues for industrial-style flashback/flash-forward sequences handle the limited color range with plenty of grace. It's not perfect; a little bit of digital noise can be seen against some facial features sporadically, along with mild edge enhancement at a few choice points. However, this visual transfer gets so much right -- and approaches the top shelf of visual quality so closely -- that it swallows up any mild imperfections without thinking twice. Standing strong with the visuals, the Dolby Digital 5.1 audio track crafts an engulfing soundstage to accompany the sweeping cinematography. Few audio tracks, not mattering if we're talking from film or television, tackle all three key sound elements the same way that Lost does. It's an exercise in mixing thunderous booms with discreet whispers to create a diverse sound environment. The experience is an onslaught of hair-raising music, well-ranged voices, and explosive sound effects, all of which this audio track presents in bold fashion. Audibility is top shelf, especially in the ambient sound department; with a little separation from reality, it can actually transport you into the aural realm of the island if you're willing. Verbal clarity does push on the upper shelf of the audio track, creating a bit of a raspy, popping sound at high intervals, but overall we're working with a substantially immersive audio track. Subtitles are available in French, Spanish, and English SDH, as are language tracks in French and Spanish. How do you cram three seasons of Lost into the time it takes to fold a load of laundry? With a quick, easy-to-hear voice and rapid editing, apparently. If you need a refresh of everything that's happened thus far, then this is the way to go. 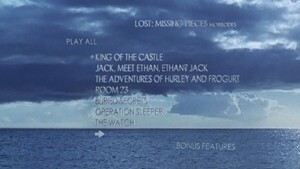 A menu option to view the Lost in 8:15 loads when the first disc is popped in, which is entirely optional. However, watching that blitzed, flashy recap probably feels similar to having a skill set programmed into your brain in The Matrix universe -- and all that material just might be sensory overload. Evangeline Lilly and Jorge Garcia offer a laid-back commentary here, mainly filled with playful banter about the episode and returning to the rhythm of the series. There's not an awful lot to say about the track, outside of the fact that you can tell that both Lilly and Garcia love what they do and share great, quirky chemistry. 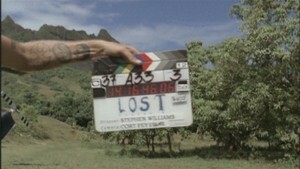 If any one episode this season deserved a commentary -- or any episode from Lost, for that matter -- it'd be The Constant. Here, the editing and production crew get together and deliver a bang-up insightful track that analyzes all the clips, cuts, shifts, and techniques utilized in making this stellar addition to the Lost alternate-reality canon. It highlight editor Mark Goldman as one of the stars of this episode's behind the scenes work, and duly so. There's also discussion on actor Fahey, Desmond's popularity, and the potential of Minkowski and a ferris wheel appearing somewhere in the forthcoming episodes. Daniel Day Kim, Yunjin Kim, and Director Stephen Semel attach onto the Sun/Jin-centric episode for a pleasant little chattering commentary. They bring up one of my favorite elements of the show -- the starting open-eye shot that accompanies many of the episodes -- along with a few tricks used throughout the series, like using green screens to display images of Seoul behind the apartments. It's a little stiff regarding how they bring up some nuggets of information, but there's some nice alleviation of ideas from all parties involved. There's also some due praise for Jeremy Davies wiggled in there. Finally, Damon Lindelof and Carlton Cuse get together and record their "first ever" season finale commentary track. They're jazzed to do something they've never done before, which echoes even the crew's adoration for the series -- plus a little bit of blushing modesty. But boy they know what they're talking about, along with knowing what the audience wants to hear about in a season finale commentary. They discuss mythology, spoilers, time constructs ... and Jack's fake beard. They goof around a lot at the beginning of the track, but once they reach the moments directly after the title screen they really dig into the good stuff. Hopefully, this will become a regular motion from Lindelof and Cuse. As the title says, this series of features takes you behind the camera with several of the episodes. It gives you the opportunity to see the directors, producers, and production assistants scrambling about to get the shots that they need. On average, there's around four to five (4-5) minutes of material per episode, which incorporates great visuals that show off the impressive camerawork, stunt coordination, and build designs. The episode break down is as follows: The Beginning of the End, Confirmed Dead, The Constant, The Other Woman, Meet Kevin Johnson, The Shape of Things to Come, Cabin Fever, and There's No Place Like Home, Pt. 2. With the ride range of locales that Lost spreads across, it's sometime difficult to remember that almost every inch of footage is shot at Hawaii locales. They recreate Korea, Africa, Mainland US, everything just by scouting locations and molding to their environment. Interview footage about the experiences filming in Oahu, opinions on other potential locations decided against, and specific location identifications adorn this nice little love letter to Hawaii, while also reminding those of us working our day jobs in less-than-paradise locations that there's still plenty of tiring, tedious work being done at their grand location. Though it's become a little less detrimental to keep track of the owners of guns on Lost, there's still plenty of dedicated work in keeping track of who is holding what weaponry at all times. Instead of bargaining chips, they seem plentiful now -- but, as the cast and crew reiterate in this featurette, it's still a lot of stressful work to keep track of the guns. 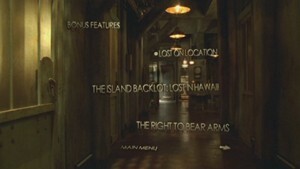 That's the job of Gregg Nations, script coordinator and gun harasser on retainer for Lost. 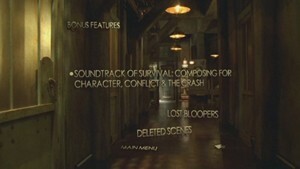 Michael Giacchino, composer for Lost, falls into the spotlight here. In so many words, the cast and crew bluntly refer to him with almost deity-like stature. Which isn't off-base; From the first episode when we hear the signature flutters from the orchestra, it's obvious that the intricacy at play with the scoring goes deep into the roots of the development process. That's a taste of what we get to see in this fantastic featurette -- recording sessions, backstage coordination with the producers, and interview time with the composer himself as it illustrates how integral of an element the score is. It's all set against the backdrop of the Honolulu Symphony Orchestra's performance of the Lost music. Great, great watch. Rounding out the first disc of supplements are nearly nine-and-a-half (9 1/2) minutes of Deleted Scenes and three (3) minutes of Bloopers. Ummm, yeah. Wow. In true Memento: Limited Edition form, this little earmark chronologically arranges every single flash-forward sequence for uninterrupted viewing. Seeing as how the series roots intself so much in the future, it's kind of a shock that the runtime is only an hour long. If you're confused and/or curious about the arrangement of future scenes in the show, then this will answer all of your inquiries. 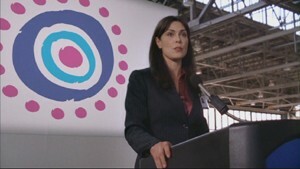 Taken as a mock documentary of the characters that survived the plane crash, this featurette adds a little dash of far-fetched speculation to the fire by suggesting that the plane crash may have been an intricately-orchestrated ploy by these six to grab the settlement money from Oceanic Airlines. It's a fun little slice of fiction-based fiction, with some great utilization of interview footage and such. 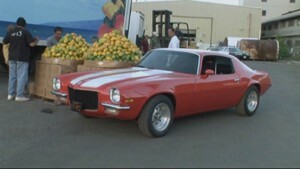 It's also unique because of the alternate home video style footage of several scenes from the season, all of which adds to the "realism" of the mockumentary. As mentioned in the review, there's a wealth of solid new characters utilized this season, which becomes the focus of this little featurette. I liked how they attached the idea of associating the characters with a Michael Crichton novel, as that roster really does seem like something straight out of Jurassic Park. There's been some successes and some duds in incorporating new characters to the series, but the character solidity is pretty universal this season -- something that the producers and veteran actors of the "well oiled machine" convey in this featurette. Here we've got a behind-the-scenes look at filming on the freighter. 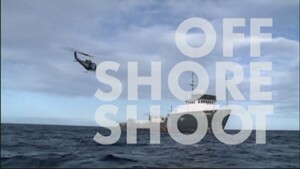 It chronicles the shooting complications regarding the helicopter and the infrastructure used during filming on the Kahana, a transport freighter commissioned for rental in Hawaii specifically for this shoot. Typical behind-the-scenes footage accompanies a combo of interview time and footage from the boat episodes. 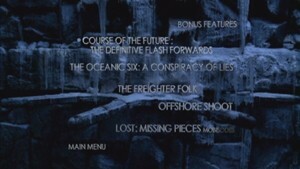 Closing out the wealth of special features, ABC has been gracious enough to include the Lost: Missing Pieces series of unique vignettes available on their website. The material ranges, spanning across the entire canon of the series. Part of the mystery is figuring out which piece goes where. It's all shot in a more sterile form than actual episodes, but still sports the same level of polish from all the actors involved -- which range from snippets of Jack and Ethan mulling over medication to seeing a very compelling little piece featuring Juliet and Ben discussing a "child". Each of these are slick little additions to the full Lost universe. There's one directly underneath the door on the second page of menus. It shows a video of the boat coversation in "Ji Yeon" -- with a speedboat flying in the background. There's another one directly to the right of the "Freighter Folk" text. It's a short little bit that tries to explain the nature of the island's pull on Jack -- associated with elasticity and such. Yeah, it's excellent. Now infamous as "the" mindboggler of television series, Lost has come back in the fourth round with a few new tricks up its sleeve: non-stop tension, brand new time mechanics, a handful of quality fresh faces, and a heaping helping of all the regular trimmings that make it one of the best television shows around. This season, interesting enough, it worked on strengthening its appeal as a cinematic piece of television, emphasized by its heightened enjoyment in watching the story of the survivors -- and their wayward rescuers -- unfold. Even for those that typically can't soak into television series for the long haul, Lost will still sucker them in with its film-like panache. Flat out, Lost has stood up and matched its premiere season in energy and smarts both. In alignment with the now-expected smorgasbord of materials presented to us from ABC/Buena Vista, this Lost: Season Four package comes stuffed to peak capacity with supplements. Four commentaries, making-of docs, webisodes, bloopers, deleted scenes, stuff about the music, stuff about the guns ... name it, and it's covered in this stellar package. Also consider that Lost offers up one of the finest standard-definition presentations around, both in visual strength and aural punch, and you've got an entry into DVDTalk's Collector Series. 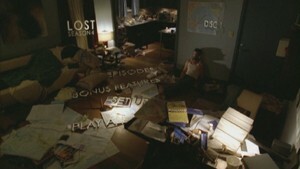 Honestly, even if you're a pure film lover and have little to no desire for most television shows, you should give Lost a spin -- you won't regret it.